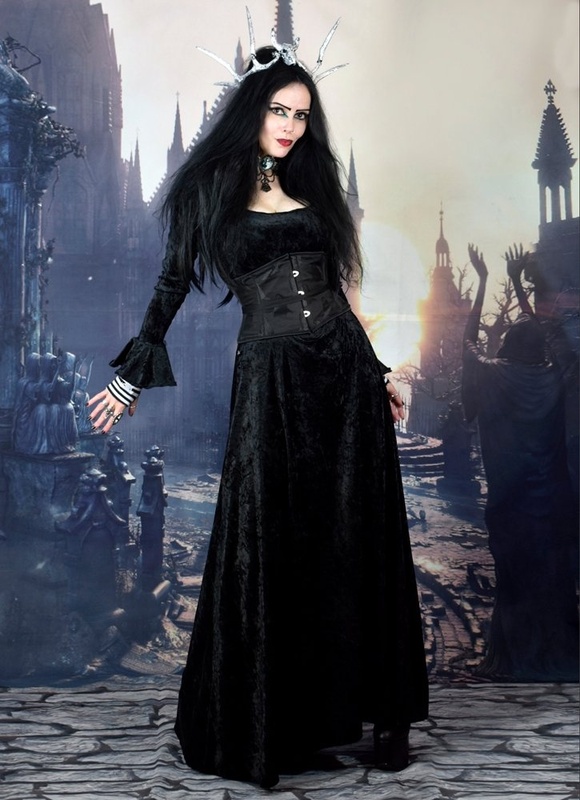 Here's the all new updated MANAWYDAN DRESS exclusive to Moonmaiden Gothic Clothing! Wear by itself of goth-it-to-the-max with a waistclincher! The dress is available in all of our usual velvet shades.